Since its inception well over half a decade ago, the day after Thanksgiving has morphed into a spectacular affair for retailers across the country. As the unofficial start to the December holiday season, “Black Friday” sees merchants everywhere offering irresistible deals on desirable, giftable items in an attempt to attract as many customers as possible. Store owners rely on big sale numbers on Black Friday because literal millions of shoppers brave the crowds that day, ready and eager to make purchases. The Thanksgiving four-day weekend also kicks off the biggest shopping season of the year. Last year, consumers shelled out a staggering $655 billion between Thanksgiving and the end of the calendar year! 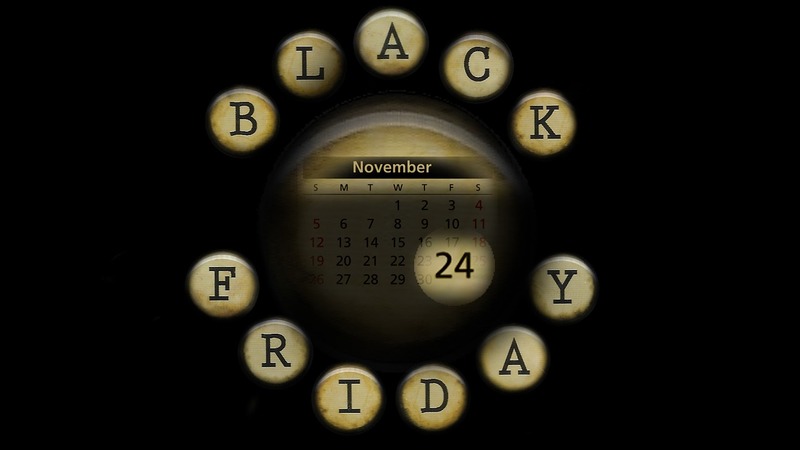 With these mind-blowing statistics in mind, what will you be doing on Black Friday this year? If you have plans to shop in store(s), keeping the following things in mind as you do so will ensure that you get the biggest bang for your buck. Scour all of the advertisements that interest you and make a list of stores you want to visit, and in what order. A great way to get the most up-to-date special offers is to follow your favorite retailers on social media. In tandem with planning ahead, be sure to research store hours, specific sale “start times,” and what part of the store your desired item(s) are located. Don’t get sucked in by other, much smaller sales while you’re out shopping. Stay focused on the deals that will save you the most money, and avoided the temptation to toss impulse buys into your cart. If you plan on visiting a retailer that offers price matching, be sure to bring along the advertisements from their competitor(s) that are relevant. Racking up a ton of debt that you won’t be able to repay after the holidays is definitely not advised. However, if you have the cash to be able to pay off your credit card bill in full in the new year, be sure that you’re being rewarded for using credit. Use a card that offers cash back to make your Black Friday deals that much sweeter. While it goes without saying, keeping receipts for all of your holiday spending is important for two reasons. First: you’re going to be gifting many (if not all) of the items you purchase on Black Friday – so be sure to ask for gift receipts where appropriate. Second: if you need to make a return for any reason, it’s always easier with a receipt. Since you’re doing more shopping than usual, keep all holiday receipts in a designated location. When Black Friday ends, remember – that doesn’t mean the deals have to end. Most retailers are offering “Black Friday” deals that run all weekend long – and some last even longer. Cyber Monday will see another spike in awesome price drops online. In fact, many deals that are offered on Black Friday in stores will also be available online, too. If you’re solely shopping online this year, be sure that you only shop on secure websites with the https prefix. Do not enter your credit card information on any site that isn’t secure or that feels sketchy in any way.